Today is a special day, our clan was founded exactly 7 years ago! Founded on the 17th of October in 2006 by two students slacking on class, KING_OF_SA and REM, the clan's aim was to serve as a brotherhood of San Andreas stunters and deathmatchers, and mix those activities into one original and unique gameplay style. 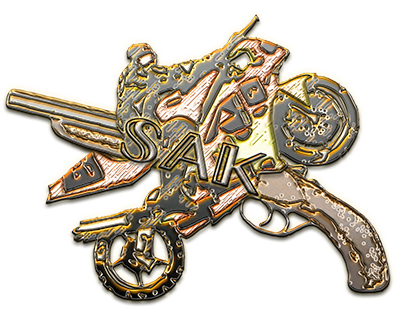 The first members began their days in the popular KFC Partyserver for the 0.1b version of SA-MP, joining the South West Killaz (SWK) clan shortly after, where they stayed for a week, before finally leaving in order to start a new project: SAK. Partyserver would later become the meeting point for the clan members for several years. So, HAPPY 7TH YEAR OF SAK to all the members. Have a nice day as a part of the clan you are. We need to do an invasion this weekend Happy 7 Years SAK! SHOTS! We need to do an invasion this weekend :DHappy 7 Years SAK! SHOTS! Agreed, Happy 7 years, old boys. Wow 7 years, that's cool Hope this clan never dies.